According to a rather grim press release by the non-profit Center for Biological Diversity (CBD), it appears that only one of just two jaguars known to be currently living within the US has been found dead. 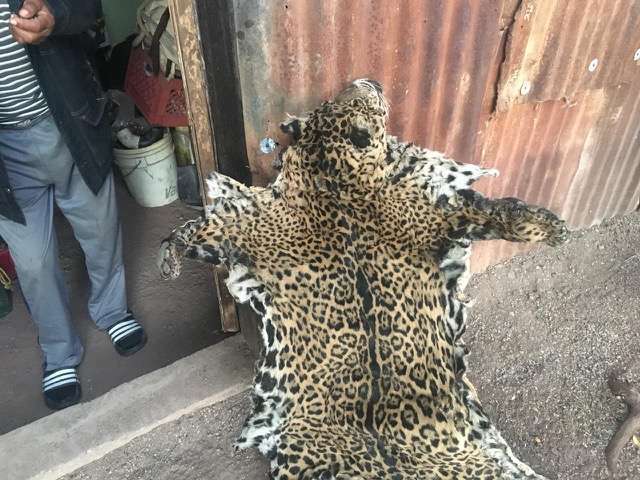 Based on a photograph released late last week, it appears that someone skinned the jaguar and had acquired its pelt; the pelt seems to match that of Yo’oko, a young male jaguar spotted in the Huachuca Mountains in southern Arizona in the last few years or so. Yo’oko was named by the students of Hiaki High School, after the Yaqui Native American word for jaguar. As the jaguar is on the endangered species list in the US, this apparent killing would have been an illegal act. Details at this point remain fuzzy, particularly regarding how the jaguar died, and when. However, the press release notes that the specific patterns of rosettes on the pelts of each jaguar means that the CBD is pretty sure that this pelt really does belong to Yo’oko. Other wildlife officials appear to agree with that assessment, although some suggest the photograph was taken in Mexico. The press release explains that the numbers of jaguars – who migrate up from Mexico and into Arizona – have fluctuated over the years. Photographic evidence suggests that there have been seven different jaguars in the US in the past 20 years, and that three of these solitary, elusive creatures were spotted in the last three years. Some outlets have suspected that the sole remaining jaguar alluded to by the press release in the US is “El Jefe” (“the boss”). 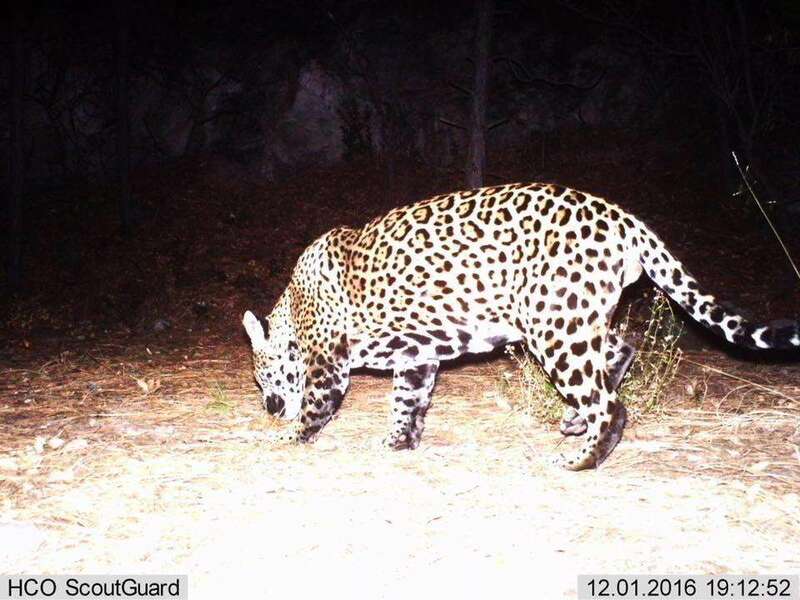 This is another male jaguar that has been seen more than 100 times on motion-detecting cameras since 2013 in the forested parts of the Santa Rita Mountains near Tuscon, Arizona. However, Serraglio told IFLScience this isn’t the case. El Jefe hasn’t been seen since the fall of 2015, and biologists suspect he’s crossed back into Mexico to look for female jaguars to breed with, based on his age at the time of his disappearance. Although other jaguars could be roaming the US that haven’t been seen on camera yet, another by the name of Sombra (“shadow”), last seen in 2016, is assumed to still be in the US, which is what the CBD press release alluded to. Serraglio also added that the US is still connected to the small, vulnerable breeding population of northern jaguars in Sonora, Mexico, which means that more jaguars will probably turn up at some point. With that in mind, Sombra will likely not be the “last” jaguar in the US. Jaguars, easily the largest cat in the Americas, are fearsome beasties. Sadly, as noted by the WWF, conflict with human landowners, the illegal wildlife trade, and deforestation has cut their historical range by more than 50 percent in recent times. That’s partly why the killing of one of the US’ handful of jaguars is so tragic: it encapsulates what is often our carelessness towards the zoological and natural world around us. To end proceedings on a positive note, though, the jaguar has recently been given some extra protection, albeit nothing that’s binding at this point. As part of World Wildlife Day 2018, the United Nations Development Programme, a group of state governments, and a coalition of NGOs – including WWF – concocted the Jaguar 2030 New York Statement. This aims to both better highlight the plight of the jaguar across all 18 of its host nations, as well as to better integrate education, awareness, and conservation efforts across the board – all with the hope of turning back the tide for the increasingly threatened wild cat. Previous Post: This Guy is Practically Blind, But That Doesn’t Stop Him from a Wild Hobby.